Genes are the basic units of hereditary. They are the building blocks of the human body, carrying all the information about our physiology and anatomy, as well as traits such as skin, eye and hair colours. On top of that, they also carry genetic disorders which create vulnerabilities to diseases. However, less than 1.5% of the three billion of the nucleotide base pairs embedded inside our chromosomes are functional. 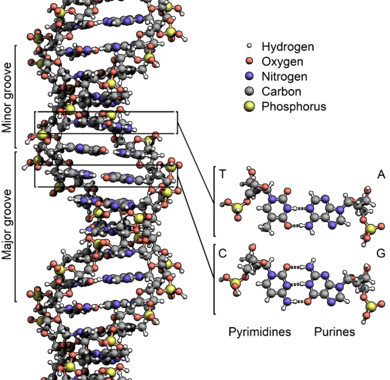 The rest of the DNA, amounting to over 98%, are noncoding DNA, or, as they were known back in the 1960s and 1970s, junk DNA. They are called such because they do not contain encoding for protein sequences. While the majority of noncoding DNA serve no discernible functions, a small majority of them do play a role in our body. A number of the noncoding DNAs function as binding sites for a variety of molecules to commence the encoding process. For instance, a small number of nucleotides referred to as promoter sequence (which are located at the start or end of DNA sequences), trigger the transcription process. Other nucleotide sequences serve the opposite function, in that, they block the encoding process. While there is no definitive evidence to yet, some scientists speculate that they act as switches. These sequences are located near untranslated genes. They regulate and enhance the transcription process. As enhancers, these elements have a 72bp repeat sequence. Introns and exons are nucleotide sequences that are spliced out during the transcription and splicing process of maturing RNAs. While introns reside outside of the new RNA sequences, exons meanwhile bond with expressed mRNA, rRNA and tRNA sequences. Pseudogenes are a sub-class of noncoding RNA which were developed from protein-coding genes. However, they have lost the ability to create proteins and remain as white elephant structures near their home (original) gene. Some recent studies have hypothesised that the presence of abnormally high levels of pseudogene may lead to the diffusion of cancer-like cells. Telomeres serve as connective bridges between chromosomes. Telomeres can affect the health and longevity of chromosomes depending on their location and number.